The researchers of the After the Crisis project also incorporate the core themes of the research initiative in their teaching. In the Fall of 2015 Ruurd Nauta and Annette Harder taught an MA-seminar titled ‘Stasis en Burgeroorlog’ for which Jacqueline Klooster was guest-lecturer, and Annette Harder en Jacqueline Klooster taught on MA course on Aetiology in 2017. In 2018 Jacqueline Klooster will teach an MA-course titled ‘Fate, Fortune, and the Rise of Rome’. 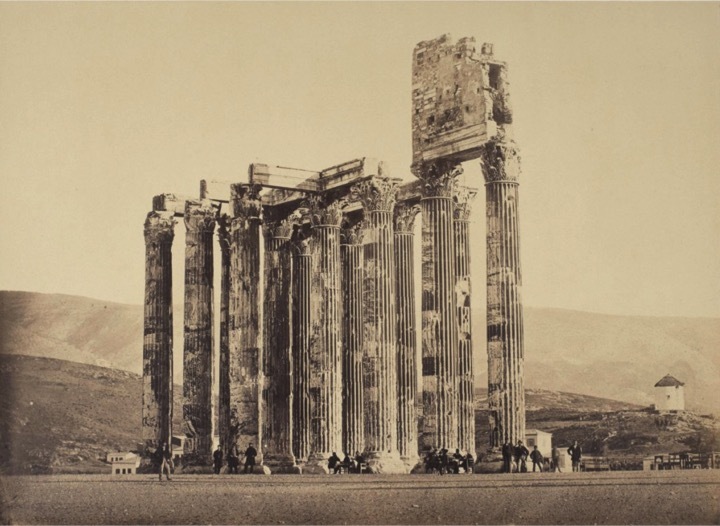 In the Fall Semester of 2015-2016 Onno van Nijf and Inger Kuin are taught an MA course titled Athens and Rome: Culture, trauma, and memory in Roman Greece at Groningen University. As part of this course students traveled to Athens to see first hand how Roman rule and the accompanying conflicts marked the cityscape. Temple of Zeus at Athens, finished under Emperor Hadrian. 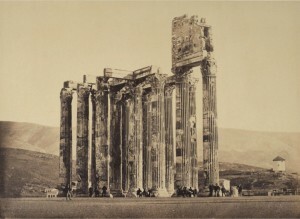 Picture by Dimitris Konstantinou in 1858.